Agricultural Studies is an international, open access, academic journal, which is published on ITS bimonthly. The journal covers a broad range of issues related to agriculture. Agricultural Studies is an international scholarly, peer-review journal. 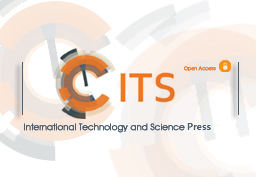 Under an open access model, everyone has free and unlimited access to the full-text of all articles published on the journal. ITS doesn’t get any income no matter from subscriptions in electronic journals, from viewing fees, and all of the publishing process, including the setup and maintenance of the publication infrastructure, peer-review processing, editing, publishing do cost a great sum of money. Therefore, publishing an article on the journal requires Article Processing Charges that will be billed to the submitting author following the acceptance of an article for publication. The submitting author is required to pay for Article Processing Charges after the article is accepted to be published, there are no submission charges, page charges, or color charges, etc. Students can get 20% discount for paper publication, please send the scanned copy of student identification card when submitting your paper. Under some circumstances, the journal provides some discounts for authors from the relatively low income countries or reviewers who provide timely and substantial comments or authors. Besides, the journal publishes some selected articles submitted or invited by the Editorial Office at some discount or even for free. ITS can accept payment different currencies, including USD (Dollar), EUR (Euro), GBP (Great Britain Pound) and Hong Kong Dollar (HKD). Authors can currently pay the Article Processing Charges via PayPal, Wire Transfer, Western Union. Different countries support different payment methods, so authors can choose the convenient payment method when paying for the Article Processing Charges.